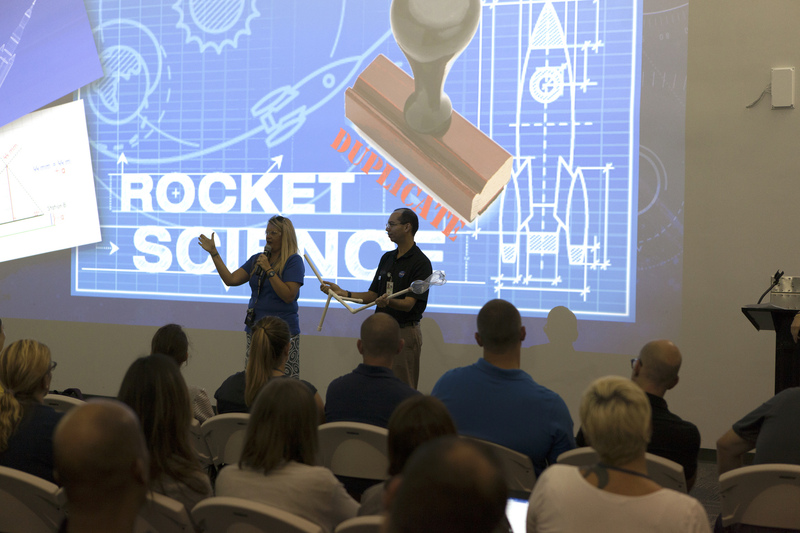 High-school teachers from across the country visited the Center for Space Education at NASA’s Kennedy Space Center during this week’s 2017 GE Foundation High School STEM Integration Conference. 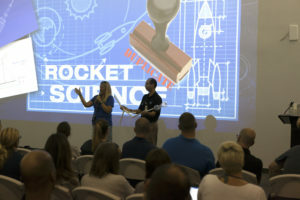 In the photo at right, Education Specialists Lynn Dotson, left, of the NASA Public Engagement Center, and Lester Morales, right, of Texas State University’s NASA STEM Educator Professional Development Collaborative, explain the Rocketry Engineering Design Challenge. The teachers then applied their knowledge by building their own projects, shown above. 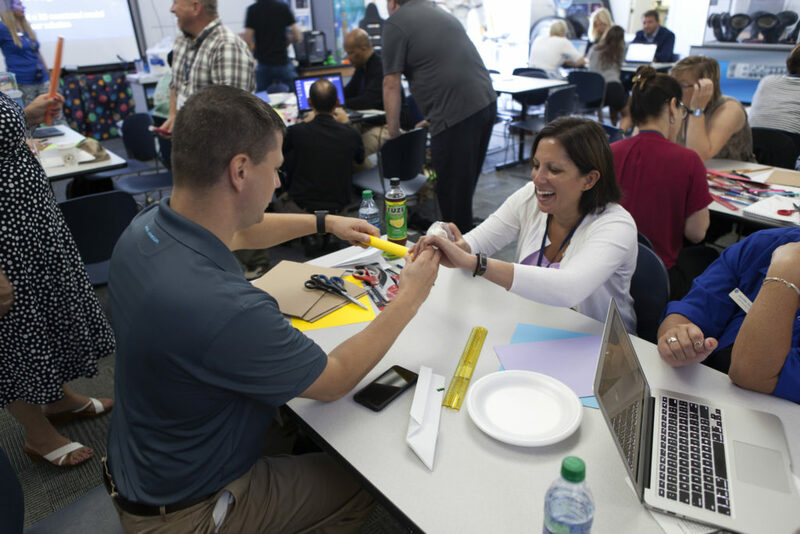 The week-long conference, a partnership between GE Foundation and the National Science Teachers Association, is designed to explore effective ways for teachers, schools and districts from across the country to integrate STEM throughout the curriculum.